Lately, I’ve been experiencing a lot of mixed feelings about IKEA. On one hand, I’m delighted with the idea of getting decent looking furniture at a relatively cheap price. But on the other hand, the assembly of the furniture is making me angry and frustrated. 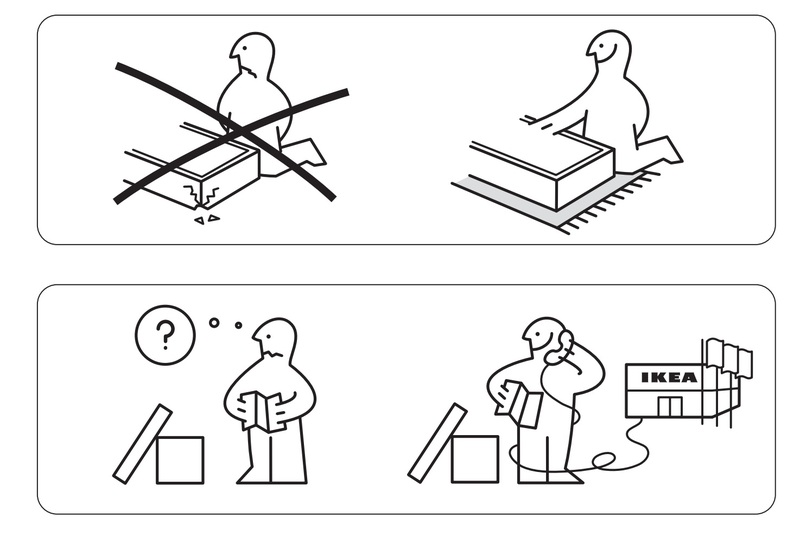 At first I thought: “How hard can it be to assemble some IKEA furniture?” Their instructions seem pretty clear (only drawings, no text), this is going to be a relatively easy task… I spoke too soon. You can’t always get what you want. I got cheap furniture, but I didn’t get “sturdy” furniture. Things in life are not certain, but you can’t just sit around and wait for things to happen, just like the IKEA furniture I bought. They are not a permanent solution to what I’m looking for, but they serve the purpose for now. Guides are no guarantee of success. Having instructions does help, but as always, the rest is up to you and the amount of hard work you put on things to make them work. The quest for perfection and unhappiness are best friends. Stay away from them. Just try your best and make peace with it. Adversities are Opportunities. Every time I struggled with a certain assembly step, I took it as a learning opportunity and also a chance to put other skills to test, such as creative problem-solving skills. Though, it took me a couple of long afternoons to build an IKEA double bed, I felt a great sense of accomplishment in the end. I’m not done yet, I still have furniture in unopened boxes waiting for me to assemble them. For those of you that don’t know, there’s something called “the IKEA relationship curse”. Though, I wasn’t a victim of it, I can totally see how it might happen. Having said that, no matter how hard things may look at the moment, they will get better.